Any gadget, be it a smartphone, reader or fitness bracelet becomes useless toy, when the battery is fully discharged. And often times there is no power outlet to charge it up. But today there is a very practical solution to this problem – the external battery. Emergency power provided by power banks is crucial when weather goes bad or electricity is out. 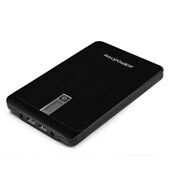 Portable power banks are also very useful when you are on the move and you need something portable to charge your equipment. This devices are best suited for people on the move. Today we will review several of the best power banks which we think deserve your attention when choosing what to buy. This comparison table will give you general idea about the models in this article. For more detailed review on each unit, please scroll bellow. Dimensions 3.5 x 2.3 x 0.8 in. (91 x 60.4 x 22 mm) 3.5 × 1.7 x 1.7 in. (88.8 × 44.3 × 44.3 mm) 5.1 x 3.3 x 1 in. (130 x 85 x 25 mm) 7.2 x 4.8 x 0.7 in. (183 x 123 x 18 mm) 8.1 x 5.3 x 1.3 in. * We assume that one charge of IPhone 5s will take around 8.2 Wh or around 2277mAh. Actually the battery of the 5s is 1560mAh but we leave some room for electronic circuit inefficiencies. *** This is total weight, including the batteries. 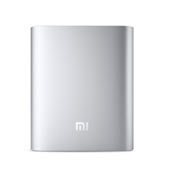 The Xiaomi power bank is the lightest of the lot and it comes with 36 Watt hours of capacity. Packaged in anodised aluminium alloy the build quality is Apple like. The device has the usual for power banks single button. The Xiaomi is equipped only with a single output USB port rated at 2A (TP-Link has two). Charging of the device is done through a micro USB port (2A). Complete charge should take around 6 hours if you use 5V/2A power supply. Remaining capacity is shown by 4 LEDs. If the power bank is in stand by mode a single short press of the button will show the remaining capacity. Long-pressing the button will reset the device. The Xiaomi supports passthrough charging – i.e. being able to charge the power bank and at the same time charge another device. This charger can charge all kinds of miniUSB available devices. The TP-LINK power bank is a bit heavier and bulkier than the Xioami one and comes with almost the same capacity of 37 Wh. It has a very high quality plastic packaging which feels smooth on touching. The device has a single button. TL-PB10400 comes equipped with two output USB ports rated at 2A\1A and one input micro USB (2A) for charging the power bank. Complete charge of the power bank should take around 6 hours if you use a 5V/2A power supply. Capacity information is shown using 4 LEDs (single button press if in standby mode). As a bonus the device offers a flashlight which can be very handy when the electricity is out. The flash light is turned on by long-pressing the button. 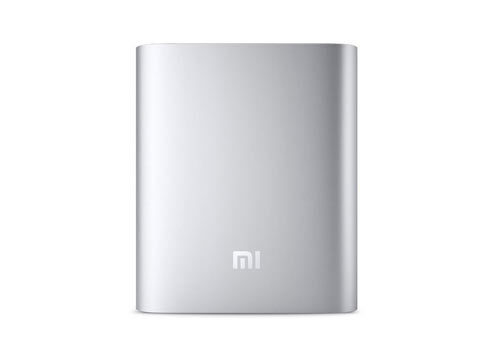 Deciding between the Xiaomi and the TP-LINK power banks is difficult. If you are going to charge two devices at once you should definitely take the TP-LINK power bank as the Xiaomi has only one output port. Other than that there are very similar and the choice is more a matter of taste. The TOMO power bank is different in that that it comes without batteries, you will need to buy them additionally. The pack is not compact and will probably not fit in a regular pocket. The plastic casing is of reasonable quality but it gets easily scratched. The device has a single button which is used for checking the capacity. 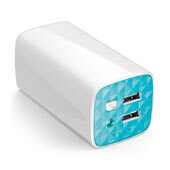 TOMO has two output USB ports rated at 2A\1A and one input micro USB (1A) for charging the power bank. Complete charge is slow and should take around 13 hours at 5V/1A. Capacity depends on the batteries that you will buy. If you get a decent Panasonic cells like these here you will get a capacity of aroung 49 Wh. As a bonus the device can be used as a charger for Li-ion batteries of the type 18650. This can be especially handy if you have equipment running on them. Hint: Usually you can buy on EBAY cheap used Li-ion batteries with still decent capacity left in them for very low price. If you do so you will reduce the total price of the power bank significantly. 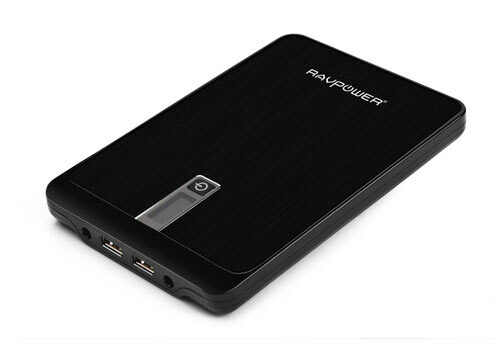 The RAVPower power bank is big but also packs a lot of capacity – 83Wh. With its weights of 1.23lbs you won’t squeeze it in your pocket but at least it can charge your laptop. Casing quality is god with the top being metallic and the bottom plastic. The device has the usual single button. In the box you will also find a carrying case. 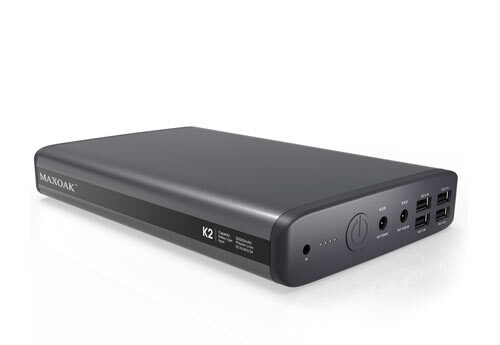 The power bank has two output USB ports rated at 2.5A and 1A good for charging smart phones and tablets. There is also an output DC port rated at 90W which can be used for charging laptops. The power bank comes with a set of connectors for the most popular computers. Before buying make sure that it comes with the connector you need. Remaining capacity is shown using an LCD display and not the usual ugly LEDs. The nice thing about this power bank is that you can select between 5 output voltages for the DC jack: 9V/12V/16V/19V/20V. This is done by first long-pressing the button and then short press toggles between the available voltages. The MAXOAK K2 power bank is the biggest power bank in our review and it has a capacity of 180Wh. With this amount of energy you can charge you IPhone 5s approximately 23 times! And because it weights 2.8lbs you will also need to have a backpack to carry it. The casing is metal on top and bottom and plastic on the sides. The build quality is good. 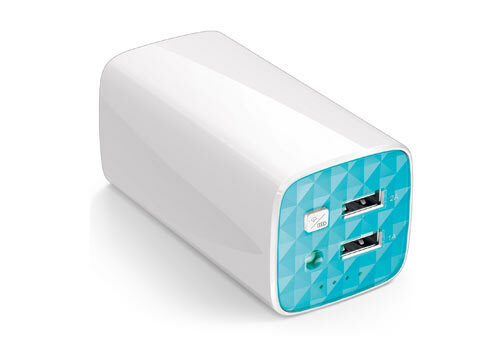 The power bank has four output USB ports rated at 2.1A and 1A. Additionally there are two DC ports: 12V/2.5A and 20V/3A. 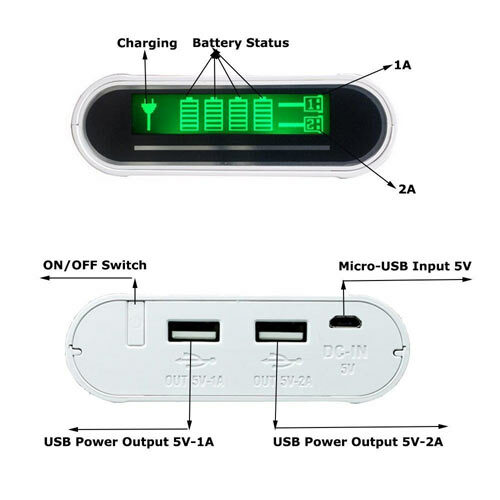 The power bank comes with a set of connectors for the most popular laptops. Before buying make sure that it comes with the connectors you need. It’s really strange that for a device of this price range MAXOAK decided to use LEDs for showing the remaining capacity instead of an LCD. Buying external battery, relying only on the budget, size, color and material of the body is impossible. Approach the problem this way and you are throwing money. So, to choose the right portable power bank, you will need the following information about the device you are purchasing. For most smartphones, tablets and laptops this feature is measured in mAh: modern smartphones, on average, have a battery capacity of about 2800 mAh, small-format tablets – about 4000 mAh. Capacity for Apple-devices is usualty measured in Wh ( Apple’s iPad the Air , for example, has a 32.4 Wh battery, which means 11,560 mAh, and iPhone 6 – 6.9 Wh, ie. 1810 mAh). 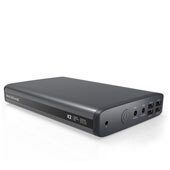 The Laptop battery, depending on the price category of the device may have a capacity of 4400 mAh (48 Wh) and more. This parameter look at the “native” charger. Typically, smart phones and tablets can be charged with a current of 1A to 2A, and the laptop – of 2.5 A. Most batteries use USB and microUSB cables or have a sufficient set of connectors / adapters supplied. But there are exceptions. What to look for? Look for whether the external battery accessories suite your device’s connector. Fortunately the micro USB became the accepted standard, and we are not in the 2000s when every phone manufacturer have different connectors for charging. For connecting Apple devices things are a little bit different, as the company is now using the Lightning-connector for charging iPhone / iPad and Magsafe for their laptops. Now that we have everything you need to choose the right unit lest look at how to chose the right model. When you buy external battery charger look for at least double the charge of your device’s battery. That is, if the battery capacity of Xiaomi Mi3 is 3050 mAh, we should look for models with a 6000 mAh or more, a current of 1 or 2A and the adapter with microUSB. For example, TP LINK TL-PB10400 has capacity of 10,400 mAh, two ports – 1A and 2A, and has supplied adapters for devices using microUSB, and the power cord to charge the iPhone . By the way, some external USB battery pack has not one, but multiple outputs. This means a single unit can be used to charge Apple devices and products that use microUSB or charge different type of gadgets like smartphones and tablets. So, now that we know something about the amperage, sockets, and power, lest see some other features of portable power bank. In most cases, external batteries come with charge indicator so that you to know state of charge, and degree of discharge. The indicator may be backlight LED or presented on a small display. In addition, different models can be equipped with flashlight a useful feature when there is a power outages. Passtrough charging is the ability to power the bank while charging your phone. 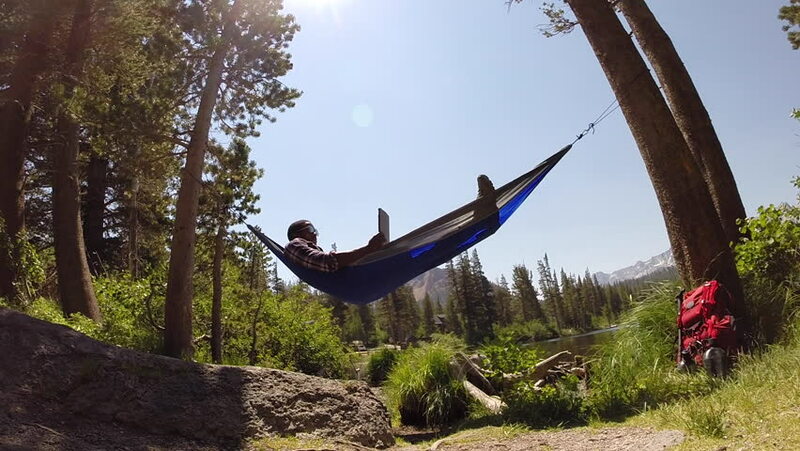 Some devices can even connect to Wi-Fi and work as a hot spot (Kingston’s MLWG2), others can read your flash drive for fast data transfer from a drive on the third device (HooToo TripMate HT-TM01) or just have an HDD interface. Another interesting option you may consider is the solar panel. Do not forget that the external battery must also be recharged. Because of that, solar panel on external battery is great option. It is perfect for those who like to have a backup plan for the backup plan. Although charging from sunlight is a fairly rare option for conventional power banks, finding one is not a difficult task. According to their purpose, they are positioned as smartphone, tablet, and laptop chargers. This characteristic is determined by their capacity and the level of the voltage outputted. Selecting the right device, which is suitable for your machine, is not so difficult. First, you should pay attention to the available charge and to compare with the intended device. Compare the battery capacity, in order to know how many recharges are you going to have. Next decide the current intensity (which affects the rate of charging). The rest – it’s only a matter of taste. Since the external batteries come in different shapes and sizes choose the one the suites you the most. This is done very easily – think about where are you going to store it while you travel, how often are you going to use it or how many devices you will be charging. 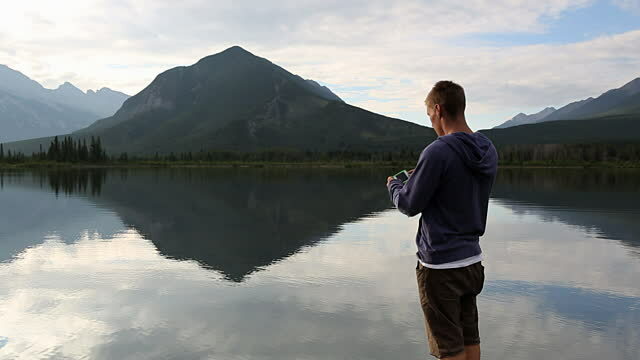 Also if you are and avid outdoorsman think about the possibility for solar panels – a good way to replenish the charge of your new power bank from a natural source. I would not use powerbanks for raspberry – they don’t give stable current especially when powering them on and off. There are extension boards for this purpose.